From housing, pensions and family benefits, to health care, unemployment insurance and social assistance, the welfare state is a key aspect of our lives. But social programs are contested political realities that we can't hope to understand without locating them within the "big picture." This book provides a concise political and sociological introduction to social policy, helping readers to grasp the nature of social programs and the political struggles surrounding them. It takes a broad comparative and historical viewpoint on the United States, using an international perspective to contextualize American social policy within the developed world. Provocative and engaging, it offers insight into a wide range of social policy issues such as: welfare regimes, welfare state development, the politics of retrenchment and restructuring; the relationship between social programs and various forms of inequality; changing family and economic relations; the role of private social benefits; the potential impact of globalization; and debates about the future of the welfare state. What is Social Policy? will be stimulating reading for upper-level students of sociology, political science, public policy, and social work. Sets out a complete dossier of information in order to understand the origins, evolution and current challenges of the welfare state and social policy in North American societies compared with other western countries. "The best brief account of US welfare available. Highly recommended." "It has been quipped that on of the last bastions of British Empire has been the introductory social policy textbook and that might have been so: until now. Daniel Béland has finally breached that bastion." "In this important and well-researched book, Daniel Béland examines the American welfare state in both a comparative and a historical context. What is Social Policy? Understanding the Welfare State explains in clear language how social programs protect individuals and families against fluctuations in the economy and changing risks that occur across the life course. From health care to unemployment insurance to old-age pensions, Béland makes a compelling case for why the welfare state is significant in shaping lives and reducing inequality." 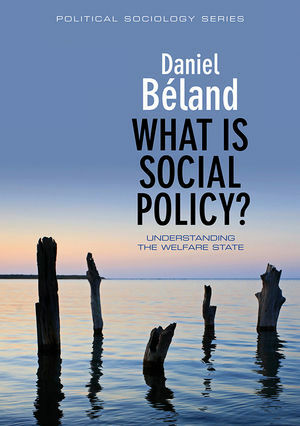 "Ambitious in scope yet admirably concise ... Daniel Béland has written a very good introduction to U.S. social policy, one that is particularly well-suited to undergraduates and general readers." Provides a concise political and sociological introduction to social policy. Helps readers to grasp the nature of social programs and the political struggles surrounding them. Takes a broad comparative and historical viewpoint of social policy in the developed world. Offers insight into a wide range of social policy issues such as immigration, poverty, changing family relations, and debates about the future of the welfare state.